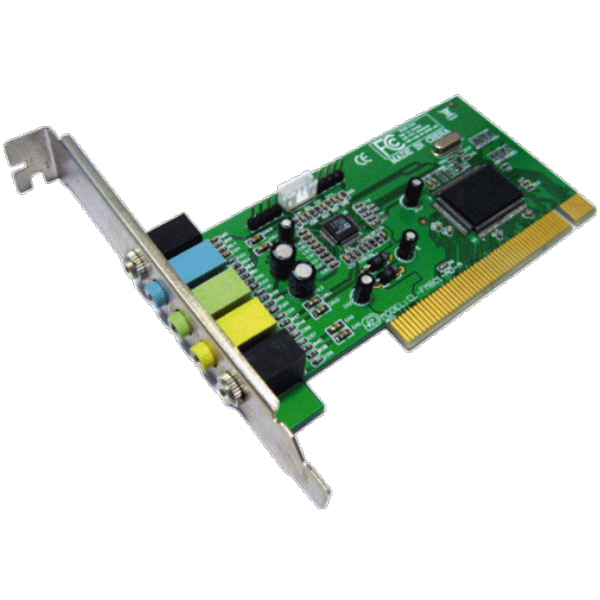 32bit PCI Bus Master, PCI2.1 & PCI2.2 compliant. External connector for Front-Out / Rear-Out / Center & LFE / Line-In / Mic-In. Internal connector for CD Audio, AUX Connectors. Supports EAXTM, Karaoke key, Echo sound effects.